Comfort on tehty ruostumattomasta teräksestä ja siinä on kirjeluukun pysäytin, minkä ansiosta postin voi ottaa helposti. Postilaatikko on todella tilava. 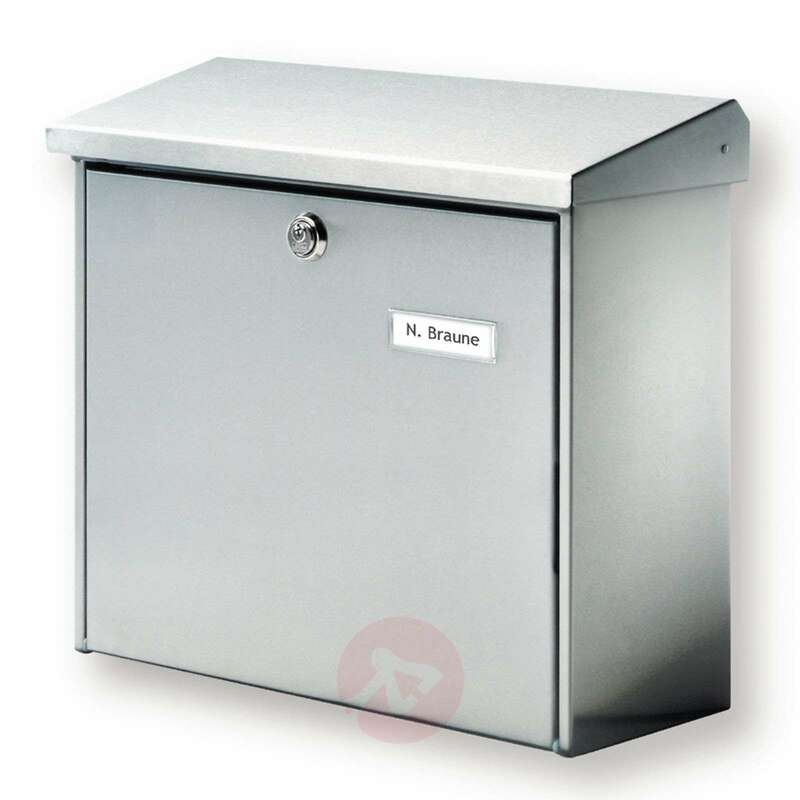 Hi yes its says in description letter box Comfort that there is an integrated interior light in this MAIL BOX which turns on automatically when opening . So like Kevin I would also like to know how light works????? Thank you for your enquiry. Kindly note that the manufacturer no longer supplies the letter box with a lighting strip. We do apologise for the incorrect information stipulated on the website, we will immediately rectify the the information. how dose the light work. This is not a lamp, it is a mail box. There is no light involved with this mailbox.